Provide personalized debit, credit, gift, and ATM cards instantly and affordably. 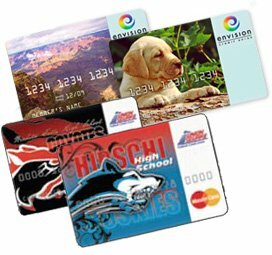 CCS offers a fully integrated solution that gives your customers the ability to display their favorite picture on their card. The Picture Card Program is an easy to use solution that integrates to your existing website. Features include: custom photo gallery, back office administration reports, and instant e-mail notifications. All images are saved under a unique file name that links back to the customer’s card record. A variety of re-issue options are available upon request. These options allow you to re-issue cards in-house or allow you to upload images to your service bureau.